I haven’t written a “creative” word in a month. That might be an odd way to start a blog post about writing, but it’s the truth—and wherever there is truth, there is a puzzle for a writer to examine. I can point to several reasons why I haven’t been writing, of course. Aren’t there always reasons? First, I just returned from a two-week trip to Alaska, so I was away for two weeks of the month in question. Second, every moment of the two weeks before the trip felt busy with preparations and tinged with anxiety—after all, my husband and I would be traveling on four flights, a train, a bus, two small boats, and a medium-sized cruise ship. A third reason goes like this: feeling relieved at the opportunity to disconnect from the Internet, I left behind my laptop, which would have been difficult to tote on and off planes and from one place to another on the ground or at sea. I did pack a small, handmade notebook from a Tanzanian craft shop that employs people who live with physical challenges. I thought the notebook’s history would motivate me to write, but its pages remained blank throughout the trip. All of these reasons sound good when I write them down, but the truth is I can’t explain the lack of writing. I have never before traveled to such an inspiring place without writing a single word while I was there. Each day I thought about writing (and I did dictate journal entries into my iPhone), but day after day I avoided that little notebook and wondered, in the back of my mind, why I was doing it. What I was doing was taking photographs. My camera, I’d always known, was coming with me to Alaska regardless of how awkward it would be to carry it. From the moment our plane landed in an Anchorage flooded with daylight at 11 o’clock at night, I snapped photo after photo after photo. I captured images of snow-covered mountains, of rivers carrying glacial silt through scenic valleys, of seagulls chasing the spouts of humpback whales, and of seals resting on ice caps recently calved from retreating glaciers. I took photos of a wolf tailing a grizzly bear across a mountainside, of a herd of caribou on a hilltop, of 20,310-foot-tall Denali on a rare sunny day. And the bald eagles! I had only seen four in the wild before this trip, but in Alaska, the sky and the trees and even the rooftops seemed filled with them, and I couldn’t stop clicking at their magnificence. A number of writers I admire also take photographs. As I captured image after image in Alaska, I wondered about this impulse. Why was I obsessed with my camera, while the little notebook languished, unopened, in my suitcase? Somewhere between Anchorage and Denali and Seward and Skagway and Hoonah and Ketchikan, it occurred to me that my goal with a camera is pretty much the same as my goal with a pen. I’m trying to capture the world around me in all its beauty, its glory, its sadness, and its grit so that I can save and relive the moments, and then share them with others. Like any writer or photographer or artist in any media, I can’t recreate the world as it actually exists. I can only interpret it through the filter that is—for better or worse—me. A bald eagle exists in all its magnificence in and of itself. All I can do is try to capture its essence and the wonder I feel when I see it. Then I can show it to others with an unspoken question: “Do you see what I see?” I want someone else to see it, too, so I can share the experience—and also so I’m not alone in that wonder. With creative writing (whether it’s fiction, creative nonfiction, poetry, or dramatic writing) the process, I think, is much the same. The writer observes something or feels something or experiences an event, and then captures, frames, interprets, recreates, or re-imagines it based on a personal understanding and sensibility. Through this process, the story is infused with the meaning the writer attaches to it. Finding the right sharpness or clarity or beauty in the delivery is what requires click after click after click of the pen or keyboard. Of course, there is one central difference between photography and writing. Photographs are visual images made up of (or at least based on) shapes and colors and light that exist outside the photographer, out there in the world at the moment when the shutter is snapped. How the photographer perceives those images and frames and interprets them with a camera is, of course, the art. Written texts, on the other hand, are born of observations of the outside world that become stories when they merge with the ideas, memories, and imagination in the mind of the writer. The texts won’t exist unless the writer makes use of that complicated, beautiful, difficult, and (for me) often dreaded tool: words. Words. There are so many words! And writers have to choose just the right ones every time! And the choice of which words to use makes all the difference. Sometimes, for me, the words just don’t come. While I was in the great, vast, wild state of Alaska, they eluded me completely. The wilderness was so stunning that words failed me. One definition of the word “stunning,” by the way, is to be “able or likely to make a person senseless or confused.” That is what Alaska did to me. It stunned me. It left me senseless and confused…wordless. But, I have to say, happily, ecstatically so. Now I am home. Now, as a writer, my job is to make sense of what struck me senseless. The weeks, months, and maybe even years of translation and interpretation through the imperfect filter that is me must begin. But why? Why not leave Alaska to be remembered through the hundreds of photographs I came home with, the eagles and the glaciers, the mountains and the waterfalls, the seals and the wolf and the whales? I certainly love the photos, and if I were a better photographer, photos would rightfully be enough. But for better or worse, I’m a writer. And ever since I was a little girl, all I wanted was to find the right words. We stand in the cemetery and watch fireworks. That is, I stand; my husband sits on top of a granite gravestone, his hands casually folded and hanging between his legs. I watched him a little while ago as I approached in the darkness. The light of his headlamp was illuminating the stone, and he was staring at it before climbing on. As I lean against the stone, feeling the rough surface of the top against the skin of my bare arm, I decide that the people buried here probably do not mind. This sprawling Catholic cemetery has been a fixture of our Boston suburb for a century or more. Some of the people buried here have lain in the ground for decades. Some were soldiers who died in each of the World Wars. Others have died within the past few years. An Italian man who lives across the street from our house visits his father in this cemetery every day. I remember the old man; he was in his nineties when he died, and before his brief illness he dressed in a suit and fedora and took walks around the neighborhood every day. He used to knock on our door and offer me paper bags filled with pears he had picked from the trees in his yard. It is the fourth of July, a year to the day since we lost a beloved cat we had taken in from the street. Franklin lived with us for two years before that terrible rainy morning, when he ran out the door, slipped behind the back fence, and got into a scuffle with a coyote. We believe he attacked the coyote to save a small female, the last feral cat who remained on our street after I had trapped and found homes for the others. She was the only one I hadn’t been able to coax indoors, and she used to stare into the house through our kitchen window, wondering what had happened to her best friend Franklin. I try not to think of that morning now, of the blood, my tears, the futile race to the vet while I begged God out loud to let Franklin live. I rested my hand on his side as he lay on the passenger seat and I felt his chest rise and fall for the last time. He has been gone for a year. The little female lives with us now. The air is warm and humid. I run the same hand that felt Franklin’s last breaths along the front of the granite gravestone. The surface is cool and glassy, smooth except where the names of total strangers are engraved. The fireworks that periodically light up the sky are launched from a suburban park about a mile away. Three years ago I walked to the park with a neighbor and watched from the middle of the crowd. My husband was away at school that summer. The grassy park was filled with blankets and with children waving glow sticks or wearing them around their necks. I heard the laughter of their parents, saw couples holding hands. The fireworks shot up from the opposite side of a soccer field. The rockets burst above us, casting a colorful glow across the dark sky as the crowd cheered and sighed and applauded. Here the crowd lies beneath the ground. But we are not alone among the living; a short distance behind us that same neighbor and his new girlfriend sit on a towel in the grass. Nearby a group of people is perched on the roof of a small mausoleum. They arrived in a pickup truck, parked, and crowded onto the highest spot they could find. The cemetery is located on the line between two suburbs. Like the tracks of lore, it separates our working-class former mill town from the wealthy suburb on the other side. There, the streets are newly paved and the houses are bordered by immaculate lawns and manicured gardens. The town we have lived in for the past eight years has more of a chip on its shoulder. I can guess by the names I have seen on the gravestones during the day – names like Sullivan and Lafleur and Diaz – that the people buried here were from our town. But from this vantage point I see that it doesn’t matter where you’re from. The cemetery slopes down from this spot. Before us neat lines of headstones pepper the hillside. At the bottom of the hill a chain link fence and a thin stand of trees separate the graves from the homes of the living on the other side. The rockets rise above the trees with a boom one by one, trailed by sparks. They shoot high into the sky and then burst into mushrooms of color. I imagine for a moment that each of these gravestones is a person who has risen from the earth to watch the fireworks. Each of them once had a life. Each had cares and worries that would be familiar to me. Many, I am sure, paused on summer evenings to clasp a lover’s hand or to celebrate the fourth of July. For a moment I am as much with the people buried here as I have ever been with anyone. As different as our lives were and are, we are all headed to a place where only names carved on stone or the words we leave behind, or the words of someone else, can raise us. 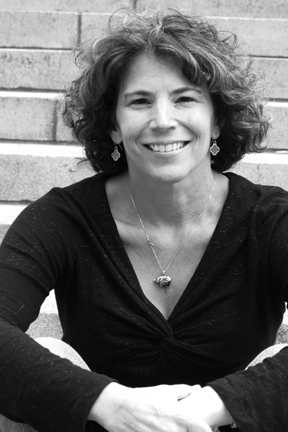 Guest Blog Post, Faye Rapoport DesPres: What Does This Have to Do With Writing? Ten days ago two explosive devices were detonated at the finish line of the Boston Marathon. I am sitting at the same desk where I worked last Friday during the daylong manhunt that led to the arrest of the second suspect in the bombings. The first had been killed in a late-night gunfight just three miles from the house I share with my husband. I learned of the events when I turned on my computer at 5:30 the next morning and saw the news headlines. Usually I try to write in the early hours, but I was unable to write after that. At six, my neighbor Mary called to tell me that her husband had heard a disturbance in the middle of the night. He hadn’t been able to sleep. Did I know that we were supposed to stay home and lock the doors? My husband woke next and I told him what had happened. His cell phone beeped with a text message announcing that the mental health clinic where he works was closed. In fact, all businesses in the area were closed. We double-checked the locks on our doors, opened the window blinds just enough to let in a little sunlight, and spent the entire day inside the house. You might ask: What does this have to do with writing? 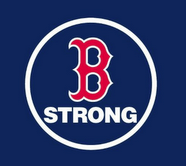 It’s been ten days since the bombings and I can’t seem to shake the effects of what happened. This is not surprising; everyone in Boston seems to know someone who was affected by last week’s events. An old friend of mine had just left the finish line a few minutes before the blasts; she saw the explosions from her office nearby. A receptionist who greeted me last Saturday at a local business told me that her uncle, a police officer, arrived in Watertown just after the gunfight. The woman who took my blood at the doctor’s office on Monday said that she knew people working in area hospitals who would be haunted all their lives by what they’d seen and heard. Paul Martin, a Paralympic athlete who has run the Boston Marathon numerous times and whose memoir, One Man’s Leg, was the first book I edited, sent an email saying that his college friend had lost a leg at the finish line. And a few minutes ago I felt my body stiffen when a helicopter flew over our house. Two helicopters flew low over our neighborhood last Friday, just before the second suspect was apprehended. I realized later that one of those helicopters must have been carrying the thermal imaging equipment that located the suspect beneath the tarp that covered the boat where he was hiding. No, I haven’t shaken any of this yet. But what does this have to do with writing? It is the haunted feeling that I have right now, the same feeling I have had for the last ten days, that compels me to write personal essays. It is a shaken feeling, or a curious feeling, or a constant reliving whether conscious or not, an inability to let go of an event, a memory, or even just a thought. The event might have occurred yesterday, or it might have occurred thirty years ago. But on some level I have not been able to shake it. And so, eventually, I write about it. Michael Steinberg, the founding editor of the literary journal Fourth Genre and author of the award-winning memoir Still Pitching, is one of the writers-in-residence at the Solstice MFA Program in Creative Writing, where I studied. He often tells me that writing personal essays is, at its heart, a form of inquiry. You start with the intention of revisiting a memory, re-telling an event, or relating an observation, but really you are searching for what it all means. Your goal is to find, as essayist and memoirist Vivian Gornick would say, the story behind the situation. The process is never as simple as you think, at least for me it isn’t. But in the end, if you stick stubbornly with your subject and explore it with all your guts, you learn what is behind your need to write about it – and it’s not always what you expect. When I revisit some of my early attempts at writing personal essays, I can see that I was able to describe the “who,” the “what,” the “where,” and the “when” – not surprising for a former journalist. But I had trouble with the “why.” Why was my topic important? What was the point? Why had it stuck with me? What did I have to say about it? What was the best way to say it? And why should anyone else care? I hadn’t explored my topics deeply enough to tackle the demons and find the connections; I hadn’t taken the risk that writing teachers tell you to take when they say: go for the jugular. It was when I started taking that risk that the writing came to life. So, will I write about what it was like to sit in this house, which seemed to get hotter and hotter as I became more tense and trapped, during the manhunt after the bombings at the Boston Marathon? I don’t know. At this point it doesn’t feel like my story to tell. The grief is all around me, as are the tales of heroism and redemption that we all cling to at times like this. And those tales are other people’s stories, not mine. I am just a witness. Being a witness is important. Very important. But as essayists we need to do more than witness – we need to find meaning and an artful way to express it so that our readers can find it, too. And that takes time. But boy, is it worth it.